Yes! Krispy Kreme has invaded our territory. 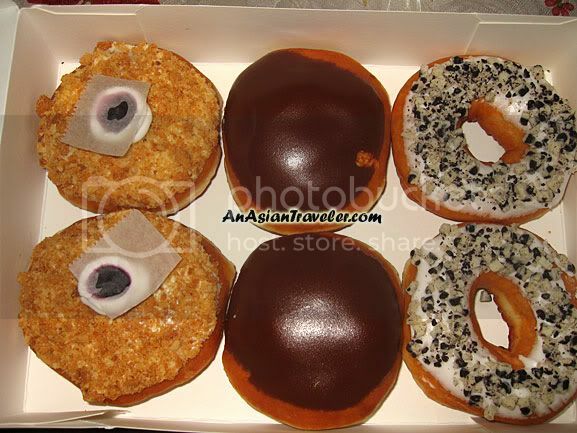 HB has been really thoughtful - bringing home often these boxes of assorted doughnuts. 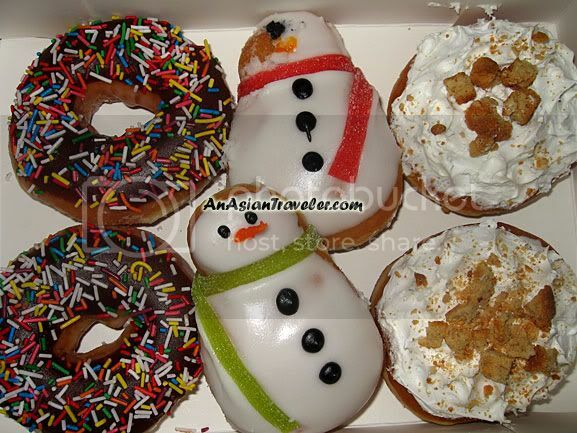 Krispy Kreme doughnuts are soft and airy with just the right amount of sweetness. 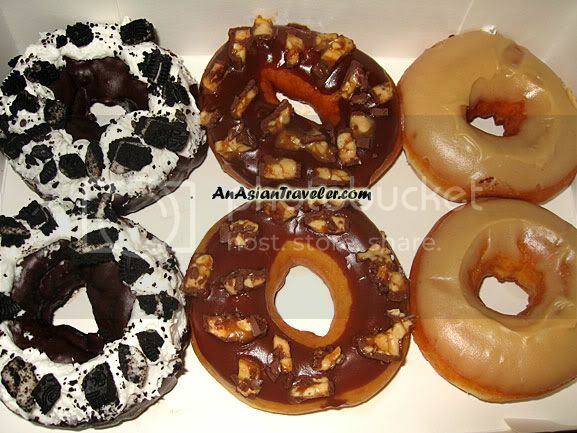 However, there are some of these ring cakes that I don't like. 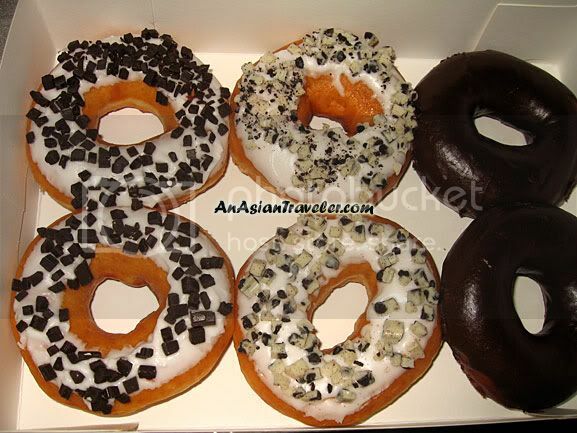 The rich chocolate cakes are a bit of a sugar loaded for me and quite heavy on the stomach. I can't even finish half of it. Wow. Seems like there's a lot more variety there in Philipine. 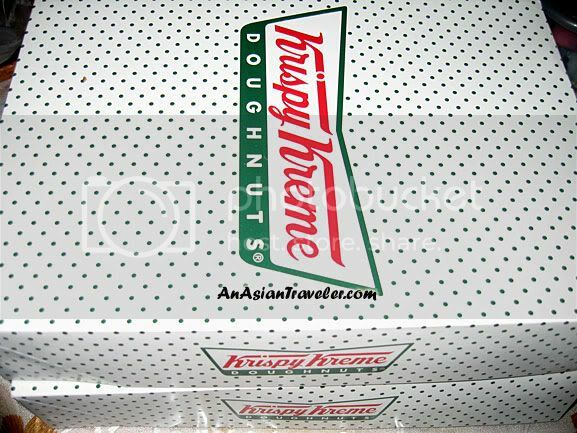 I find the Krispy Kreme in Malaysia too oily and too sweet.